A study has found that low income families live near areas that are involved in industries with the highest pollutants. These residents have pre-existing conditions like stress, malnutrition, diabetes and poor dental care. This places them more at risk because of the low quality of air that they breathe. Not to mention the pollutants that cause more challenging health issues like cancer and other reproductive disorders. This study was led by PollutionWatch, and it was managed for two years. It spearheaded one of the most detailed and thorough examinations of pollution in Canada. The research cross-referenced the federal data on households and industrial emissions. This helped them determine the correlation between pollution and poverty in Great Lakes Basin. They found that the very young and the very old are susceptible to pollution. Air pollution in Ontario is responsible for 9,500 premature deaths annually. The results of the study will pave way for a definite change. It will facilitate a new structure for the government especially in planning programs for poverty, land usage and pollution. The findings made use of the data covered in 2005. This includes the 9,000 companies that reported their air emissions to the National Pollutant Release Inventory. This federal sector monitors the industrial releases in the three major bodies: air, water, and land. It requires the companies to disclose all information about the 367 substances used, with a headcount of 10 or more regular employees. This statement has a great impact on families. A greater responsibility awaits everyone. Preventing pollution might be a tricky task. The main point is not complete eradication but at the very least, certain prevention. There are different actions that can be taken to make this possible. The easiest of all, starts at home. If you’re wondering what it is, it is simply air duct cleaning. There are companies who can render these services if you are particular about home pollution and indoor air quality. If you don’t have a company in mind, Canaduct cleaning services is one of the leading companies when it comes to air duct cleaning. We have capable staff that can work in an outstanding manner while taking note of your needs. 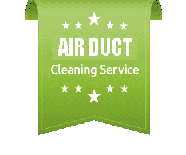 We understand that cleaning the ducts is important to you and to your family. We want to provide you the cleanest and healthiest home environment as soon as possible. If you want to book us now or if you have more questions simply call us here: 416-410-3777.